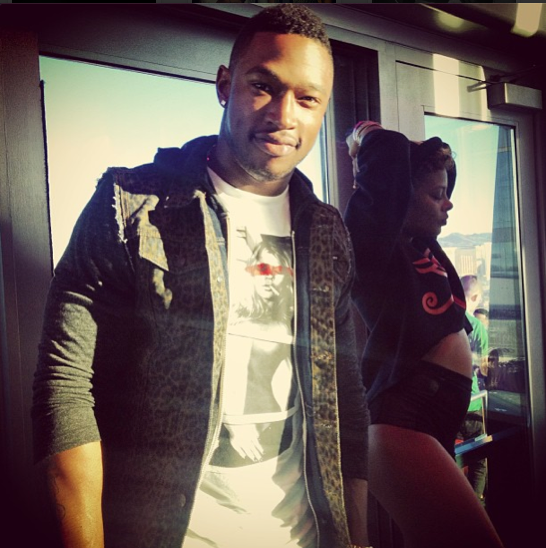 Is Nelly's Ex-Girlfriend Tae Heckard DATING NBA Baller Brandon Jennings?! 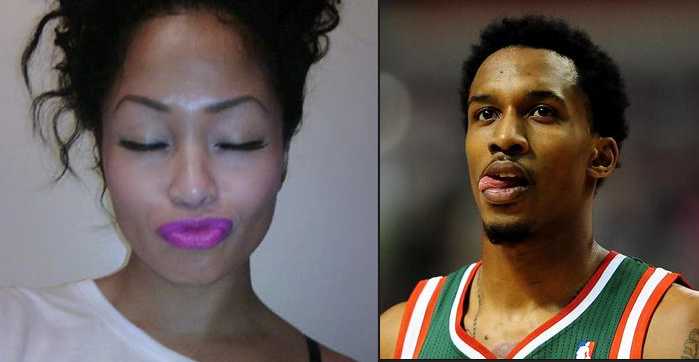 With Nelly 'allegedly' back with his R&B singer chick Ashanti, the Saint Louis rapper's ex-girlfriend Tae Heckard seemed to have moved on and has taken a liking to NBA player Brandon Jennings. #RELATIONSHIP ADVICE! Invited My Ex- Over, He Asked To Bring A Friend, "I Said Yes" & The Friend Turned Out To Be His Date! JUST MESSY! 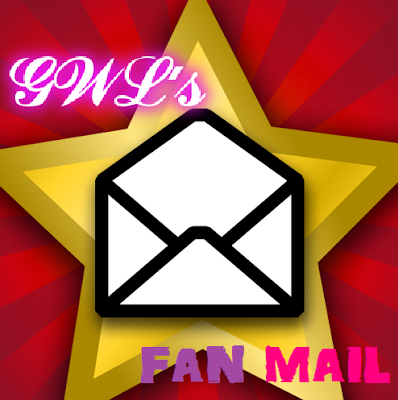 So we've just received this fanmail from one of our regular readers here in New York City, basically sharing with us her worst weekend experience ever! Last night, Selena Gomez, who claims she is no longer dating Justin Bieber even though she was spotted getting cozy with him backstage at the 2013 Billboard Awards Show a few days ago, is now "allegedly" dating Bieber's best-friend Jaden Smith after they were spotted having dinner at Hakkasan restaurant. Tiger Woods & Girlfriend Lindsey Vonn Goes Public.."Yes We're Dating!" After months of media speculation, Tiger Woods and Olympic medalist Lindsey Vonn has officially confirmed their relationship. The 28 year-old Lindsey took to her Facebook account on Monday to announce the news and posted a picture of them. "I guess it wasn't a well-kept secret but yes, I am dating Tiger Woods. Our relationship evolved from a friendship into something more over these past few months and it has made me very happy." She then added: "I would like to keep that part of my life between us, my family and close friends." "This season has been great so far and I'm happy with my wins at Torrey and Doral. Something nice that's happened off the course was meeting Lindsey Vonn. Lindsey and I have been friends for some time, but over the last few months we have become very close and are now dating. We thank you for your support and for respecting our privacy. We want to continue our relationship, privately, as an ordinary couple and continue to compete as athletes." PUPPY LOVE: Jaden Smith & Kylie Jenner BOO'D Up At Kanye West Concert.... & Spotted At NOBU With Will Smith! There seems to be a new young couple on the block despite the many rumors, as actor/rapper Jaden Smith was spotted with Kim Kardashian's younger half sister Kylie Jenner in London on Friday. 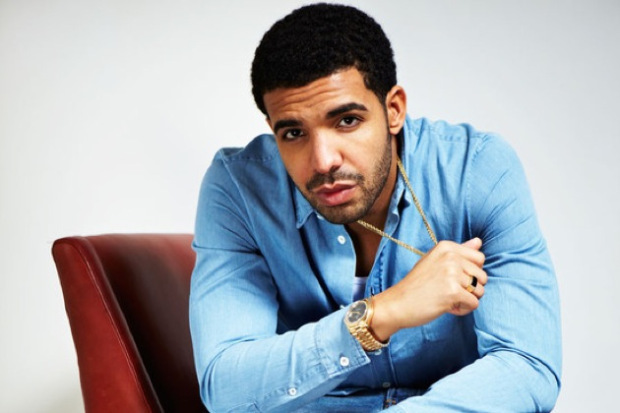 Check out Drake's new boo thang ... and we thought he was just into the video vixen type! Looks like Drake has been celebrating his recent success at the Grammy's with a new love interest. We have pics of the new couple on a romantic vacation trip in the Dominican Republic. Rapper Joe Budden, who used to date Tahiry Jose, has allegedly dumped his 19 year-old girlfriend, Kaylin Garcia, for another "Love & Hip Hop" star, Ariane, who is apart of the Atlanta cast. 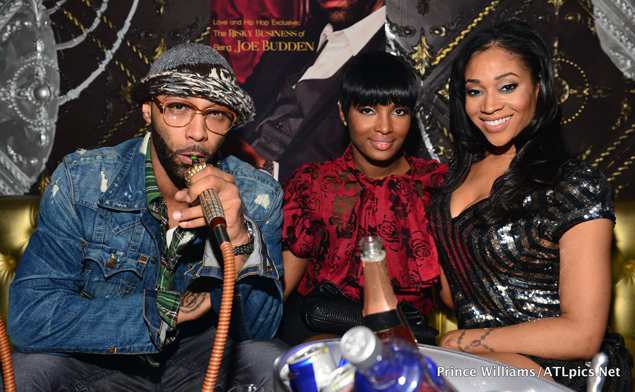 The rumored couple were spotted at Joe's Rolling Out Magazine cover event (hand-in-hand) with Ariane's bestie and fellow "LHH&A" reality Mimi Faust. 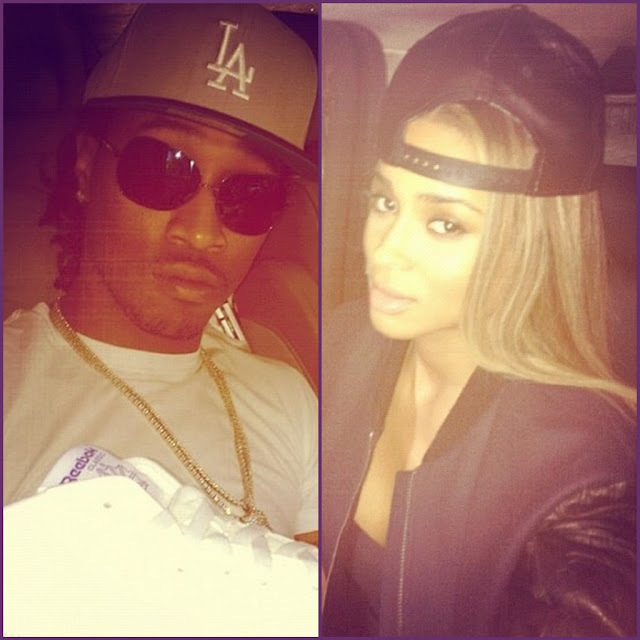 IT'S OFFICIAL: Future Confirms Dating Ciara, Says "She Makes Me Happy"
After denying the rumors a few weeks, rapper Future finally comes clean about his relationship with singer Ciara, as he recently chatted with Hot 107.9's DJ J, telling the radio disc jockey that she makes him happy and he makes her smile. After denying they are dating and posting tons of photos of them together in the studio on Twitter and on Instagram, both rapper Future and singer Ciara were spotted leaving a local restaurant in Beverly Hills after grabbing lunch at Crustacean in Beverly Hills on Wednesday. "X-Factor" Judge Simon Cowell Confirms 'Dating' Carmen Electra! 'X Factor' judge Simon Cowell, who has been spotted on numerous dates with TV presenter/model Carmen Elextra, has confirmed he's dating the 40 year-old beauty but doesn't consider their relationship official yet. Cassie CONFIRMS Relationship With Diddy While BLASTING The Media! Just moments ago, "King Of Hearts" singer Cassie took to Twitter to vent out her frustrations about the negative media comments about her odd-- yet secret relationship with "Bad Boy" CEO P. Diddy.